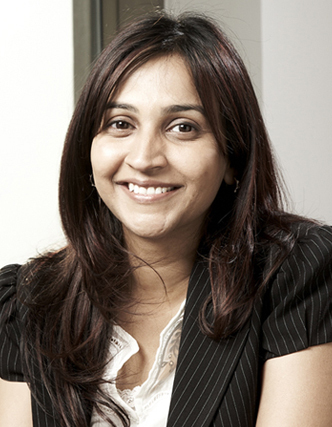 The offshoring of business activity, to global in-house centres (GICs) or wholly owned and operated subsidiaries in emerging economies such as India, is fundamental to the business model of the modern multinational company (MNC). More than 750 MNCs have established GICs in India across a range of industries. 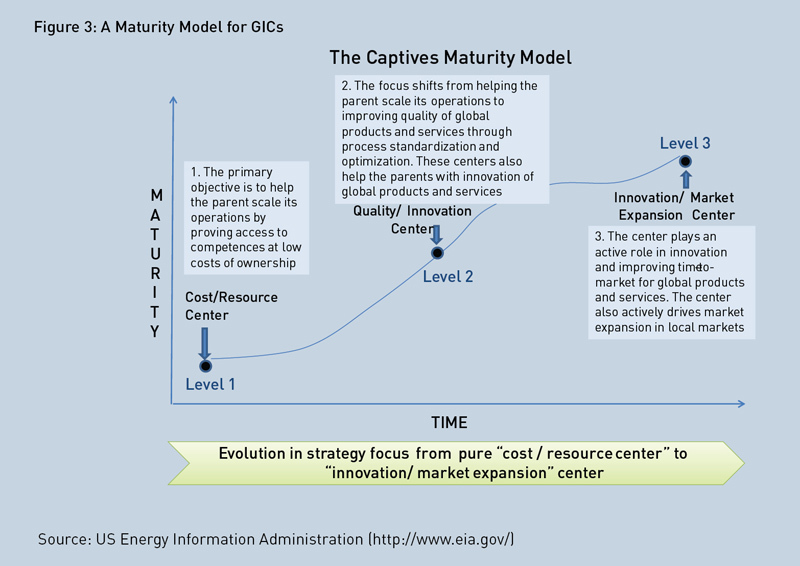 While the early entrants were primarily seeking to reduce the ownership costs of business activity and acquire competencies for scale; over time, MNCs have made a strategic shift from regarding GICs as cost centres for offshore production or opportunistic exports to considering them as centres of excellence that drive product innovation, improve speed to market and help capture the latent value in host markets. Indeed, offshored tasks increasingly include product and process design, engineering and other core processes. The management of GICs, including their growth, involves significant challenges. Managers must continually evolve their business model to align with the parent company’s changing business needs, deal with the pressures of growing resource costs, source and retain key talent, and resolve trade-offs between building efficient versus innovative organisations. What are the specific capabilities that GICs must invest in, to reliably address these challenges and sustainably deliver business outcomes and growth? What performance benchmarks can be used to objectively assess these capabilities? Which of these benchmarks best fit the GIC’s business strategy and focus? To address these and other important related questions, the Srini Raju Centre for Information Technology and the Networked Economy, ISB, in partnership with Deloitte Consulting and NASSCOM, has proposed the development of a GIC Capability Maturity Index (GCMI). This index will annually assess the capabilities and maturity of GICs in India to enable benchmarking, future planning and roadmap development. •Product/Service Strategy of the GIC, including key focus areas, product markets served, and size and diversity of the product/service portfolio. •Capabilities of the GIC, including control structure, coordination processes, and human capital management practices. •Performance of the GIC, including revenue, cost of operations, quality certifications, and the nature and magnitude of innovation. The primary criterion of our model is that the maturity over time of the product strategy of the GIC requires an allied evolution in supporting structures, coordination processes and human capital management practices to sustain superior performance. These components of our conceptual model, which is rooted in the contingency perspective1 in management research. ISB, Deloitte Consulting and NASSCOM jointly conducted an online survey of senior executives (C-suite) across 27 GICs in India. 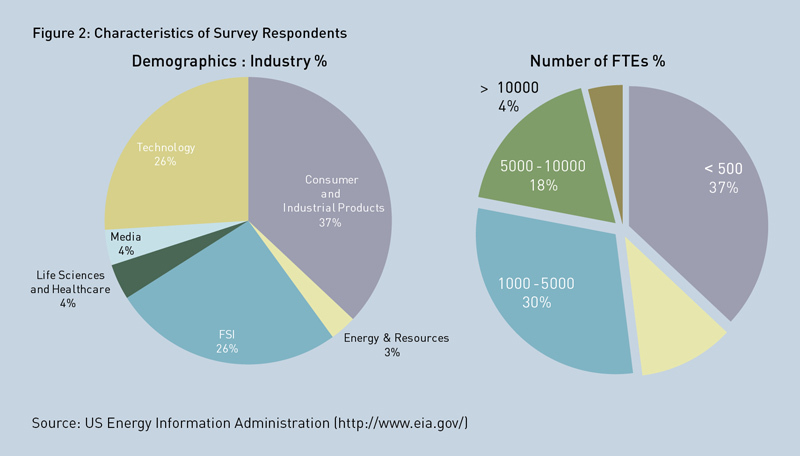 The respondents spanned diverse industries including consumer and industrial products, financial services (FSI), and technology companies. The survey assessed GIC operations on all the parameters of our conceptual model, which ranged from small (<500 FTEs) to large-scale operations (10,000+ FTEs). We analysed the survey responses to validate the maturity model and develop the GCMI. We used k-means cluster analysis to discern heterogeneous product strategies in the data. For each cluster, we tested mean estimates of different capabilities and then compared these estimates between high and low performing clusters to validate the performance impact of the fit between the GIC’s strategy and capabilities. We complemented the survey responses with data from eight structured interviews to better understand the relations that we observed in our analyses. The key characteristics of the survey respondents are outlined in Figure 2. As a GIC transitions from a cost centre to a quality centre to an innovation centre, it must increase investments in the range and magnitude of coordination mechanisms required to manage task interdependencies while simultaneously improving its autonomy in the firm. Exploratory factor analyses of our data pointed to three broad clusters of product strategies pursued by GICs in India, namely, cost centres, quality centres, and innovation centres (see Figure 3). Each of these clusters of GICs is characterised by different strategies, capabilities and consequently, performance. Cost centres solely emphasise upon reducing the costs of ownership of the offshored business function. They provide access to competences not available in-house and thus, facilitate scaling of operations of the GIC. Quality centres, in addition to reducing the costs of ownership of offshored tasks, provide higher quality output than cost centres through a focus on process standardisation and optimisation. Innovation centres, while providing similar gains in terms of reduced costs, drive innovation for their parent company’s global market, and in some cases, for expansion in local market. There are significant differences across the maturity levels to the extent of work interdependencies between the GIC and other subsidiaries of the parent company. We find that cost centres largely operate as modular units with little coordination with other locations. However, quality/competence centres and innovation centres involve tight interdependencies with the parent company and its other locations. As shown in figure 4, while the difference in operating cost per employee across the three centres is insignificant, the marginal cost of functional diversity, i.e., the cost of adding an additional function, is increasing across the three centres. These differences in complexity bring into focus the differential role of control structures and coordination mechanisms in improving performance across the three centres. Cost centres are largely resource centres that can function in a modular fashion; yet, the parent corporation plays a critical role in strategic decision making for the centre. We found that a 12 percent increase in headquarters (HQ) participation in decision making leads to a decrease of nearly INR 21,000 in operating costs per employee. Further, a range of information should be shared with the parent and other centres to yield low operating costs per employee. A 24 percent increase in investments in information sharing leads to a decrease of nearly INR 660,000 in operating cost per employee. However, given the modular nature of the offshored tasks in cost centres, few investments are required beyond information sharing to build common ground with the parent or with other centres. 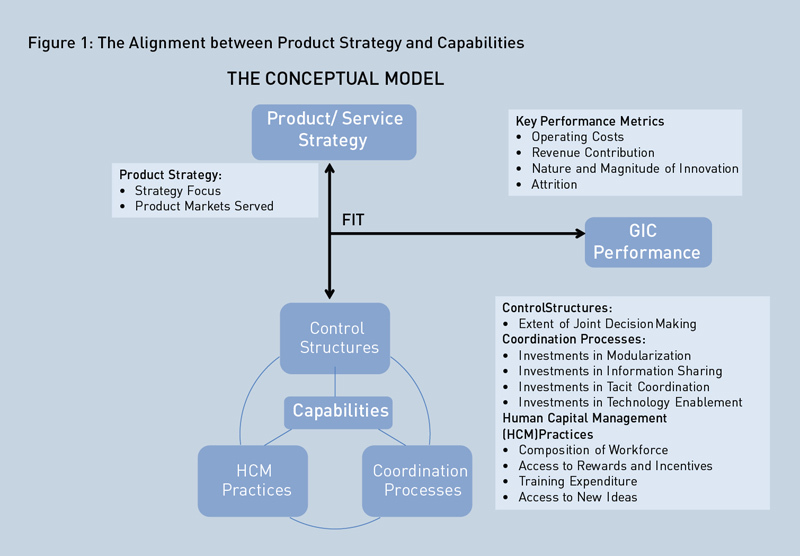 While previous studies have focussed on the segmentation of GICs by their strategic focus or commented on the drivers of their performance, this study actually quantifies the effect of aligning strategic focus with the right capabilities on key metrics that are indicators of the GIC’s competitiveness and profitability. Quality centres play an important role in improving the quality of the parent’s products and services, and are characterised by greater levels of business process standardisation and optimisation than cost centres. Involvement of the parent in strategic decisions is critical to the realisation of cost savings in these centres. A 19 percent increase in HQ participation in decision making leads to a decrease of nearly INR 127,800 in the operating cost per employee of these centres. The allied coordination mechanisms in these centres also need to extend beyond information sharing to include a range of mechanisms such as co-location of personnel and making information visible across locations, which build common ground between the GIC and the parent. A 40 percent increase in investments in information sharing leads to a decrease of INR 10,980 in operating cost per employee, while a 33 percent increase in investments in building common ground leads to an equivalent decrease of INR 127,800. Investments in building common ground with the parent and other centres also yield increased rates of process and strategic innovation. Innovation centres drive modernisation in products and services of the GIC for both global and local markets. In contrast to cost and quality centres, higher levels of autonomy in strategic decision making are critical to the performance of innovation centres. A 15 percent increase in the autonomy of the GIC results in 233 more patents filed per year. These centres also engage in a range of coordination mechanisms, including information sharing, building common ground and technology-enabled coordination to manage task interdependencies with the GIC and other centres. An 11 percent increase in investments in information sharing results in 99 more patents filed per year. An eight percent increase in investments in building common ground results in 100 more patents filed per year. A 20 percent increase in investments in technology-enabled coordination results in 100 more patents filed per year. These results suggest that as a GIC transitions from a cost centre to a quality centre to an innovation centre, it must increase investments in the range and magnitude of coordination mechanisms required to manage task interdependencies while simultaneously improving its autonomy of the firm. Different workforce attributes and human capital management (HCM) practices are valuable at different maturity levels. Figure 5 shows the percentage of the workforce that has technical skills, managerial or leadership skills, and global work experience for each maturity level. Managerial talent and global experience appear to be invaluable in optimising processes in quality centres and understanding the business and competence requirements of the parent and global product markets. A 10 percent increase in such talent in quality centres yields nearly 15 percent more process innovations. Innovation centres require technical skills for product innovation; however, they also need managerial skills and global experience to drive business models and local market expansion. A 10 percent increase yields nearly 25 percent more strategic innovations, 80 more patents and operating costs savings of nearly INR 465,000 per employee in innovation centres. Despite their significant value, managerial talent and global experience are difficult to source in quality and innovation centres. While technical talent helps build scale in resource and quality centres, it creates strategic value in innovation centres and is, therefore, significantly more costly than the previous. The significance of this research is that, to the best of our knowledge, it is the first study that delineates a growth trajectory for GICs, elaborates on the key investments that correspond to each level of the trajectory, and describes the performance improvement that occurs as GICs move from one level of the trajectory to another. Previous studies have focussed on the segmentation of GICs and commented on the drivers of their performance. This study actually quantifies the effect of aligning strategic focus with the right capabilities on key metrics that are indicators of the GIC’s competitiveness and profitability. The growth model can be used by GICs to guide process design and capability development, build a credible business case for growth and expansion, and showcase the value delivered to the parent organisation. The results of the study emphasise the significant value that GICs create for their parent companies. They also point to significant opportunities for growth. Only 20 percent of the innovation centres had filed patents with the India office and the mean values for strategic, procedural, process, structural and personnel innovations (on a 1-5 point scale) were 3.2, 4.2, 3.4, 3.0 and 3.8, respectively, which represent relatively modest values and suggest significant room for improvement. Our results show that through investments in the right capabilities, these GICs can grow to create significant value for the parent company. The most difficult transition in the maturity curve is from a cost centre to a competence centre. Although many GICs have resisted this transition, our results suggest that it yields significant benefits in operational efficiency as well as add to the the strategic importance of the GIC. The innovation centres in our sample, consisting primarily of GICs of large multinational firms, have transformed the control structures, coordination processes and technological capabilities in their organisations over a long period of time. It is likely that even larger gains accrue to smaller GICs that are subject to a variety of constraints and impediments. The costs of this transition, however, are insignificant compared to the substantive returns in process optimisation, innovation and market expansion. The author acknowledges the support provided by the Srini Raju Centre for Information Technology and the Networked Economy (SRITNE), ISB, Deloitte Consulting and NASSCOM in developing this document. Priya Gupta, Sreenivasulu Puli and Aditya K S provided valuable research assistance. Product Innovation Management, 12(3): 224-234. Bensaou, M and N Venkatraman (1995). “Configurations of Interorganizational Relationships: A Comparison between US and Japanese Automakers”, Management Science, 41(9): 1471-1492.